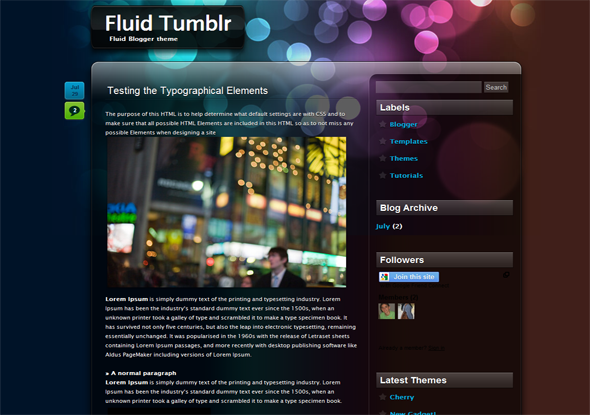 Fluid is a Tumbler theme Designed by Metalab and Converted to blogger for ChethStudios. How can I remove the icons which are placed at left of each post? hi how can i setup the right date??? the blue icon one? its undefined. Hi!How to add this theme into my blog? This theme is really great, I love it. However is there any way I can have the quick-edit button and share/rating buttons in the end of each post again? Thanks. I can’t find HTML code !